This is the second best version of Ego. That haircut is hilarious. 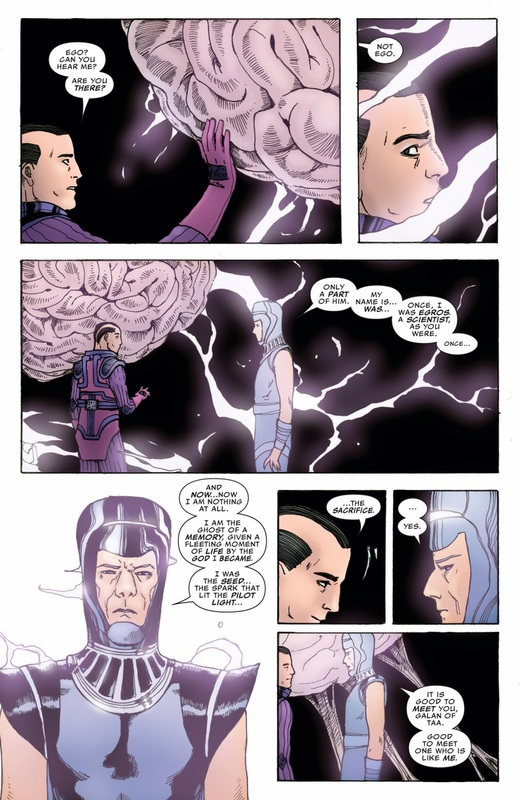 If Galactus had just taken off his helmet the first time he came to consume the earth, he could have easily done so. All of the heroes would have been too busy laughing to do anything. No way! He'd have been sent packing by a string of sick burns from your friendly neighborhood Spider-Man! I think it works here. it helps make him look like a middle-aged guy, which makes the scene more effective. Yeah, it reinforces the fact that he's not hiding anything, not trying to seem impressive - that he's shedding his 'godhood' to reveal the man he once was. 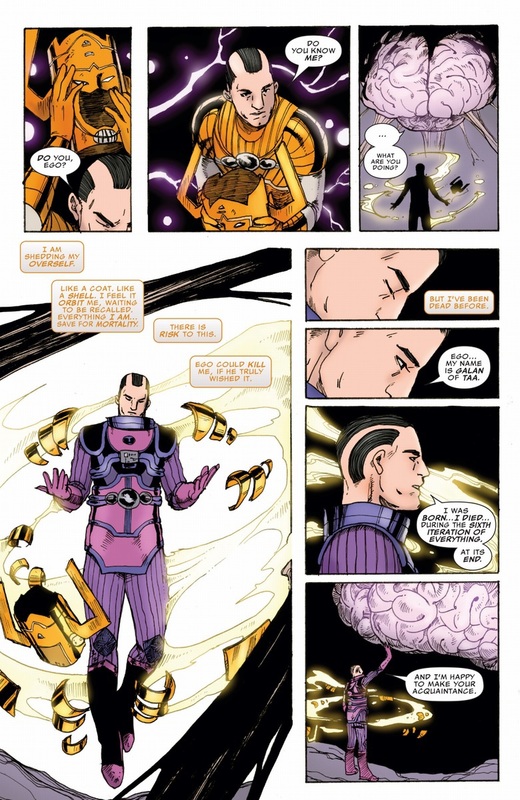 In fairness, that's how Kirby drew Galan during his origin story. A lot of the helmetless appearances since then fill in the hair but keep some of the patterning. 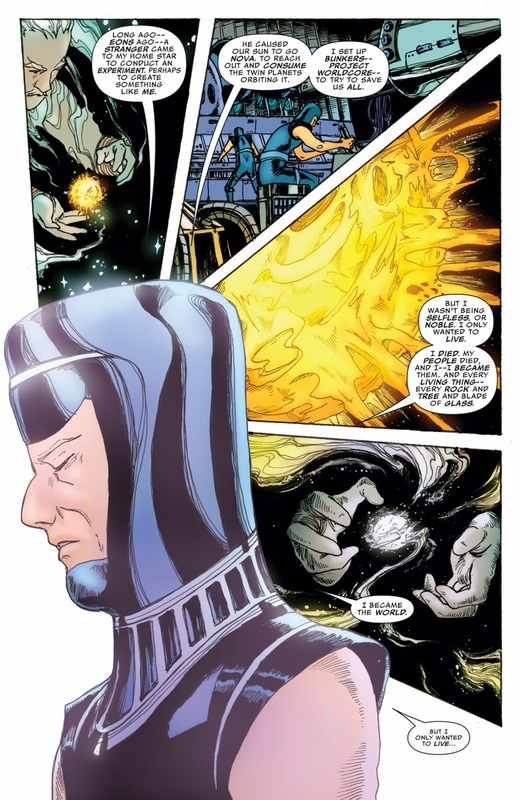 I always wondered since Galactus's origin when he brought three more scientist to the center of the universe what if those scientist survived as well as other cosmic abstracts. Blade of glass can't be a typo, can it?